Loc8 is the Jobs and Asset Management platform that creates a solid and intuitive ecosystem within your business. At Loc8, our years of experience in the utilities sector have allowed us to develop a tailored solution suitable to the industry. Job creation is streamlined but powerful, and with our dedicated mobility tool, you can be certain that the information you need will be captured in the field, every time. Combine this with our easy to use Job Importer that allows you to bulk create jobs from MSATS data or other industry systems. Loc8 provides advanced functionality for scheduling your teams in the field. Whether you use internal technicians or contractors, Loc8 can help you manage your workforce and make sure jobs are done on time and efficiently. 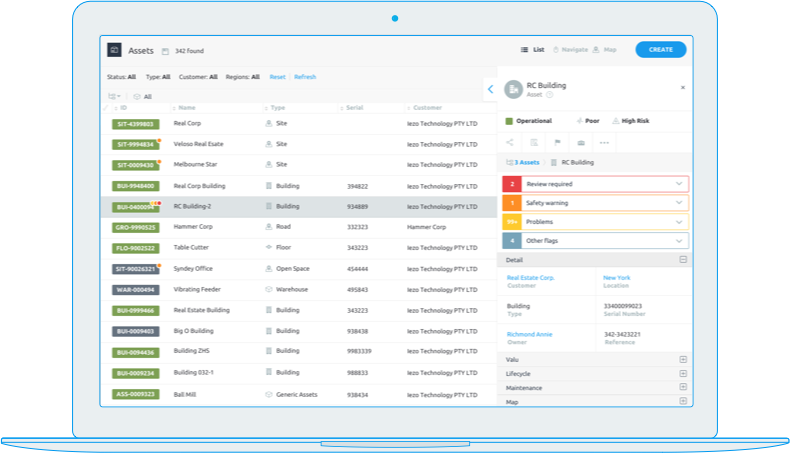 From our feature rich contractor portal for your contractors, advanced calendar functions and trade/region restriction abilities, Loc8 will be indispensable when it comes to providing your team with the tools to get the job done right, every time. Loc8 provides dedicated mobility tools for both iOS and Android, so whatever platform your business uses, we have you covered. Our mobility tool allows you to track your field teams and see real-time metrics related to in-field performance. 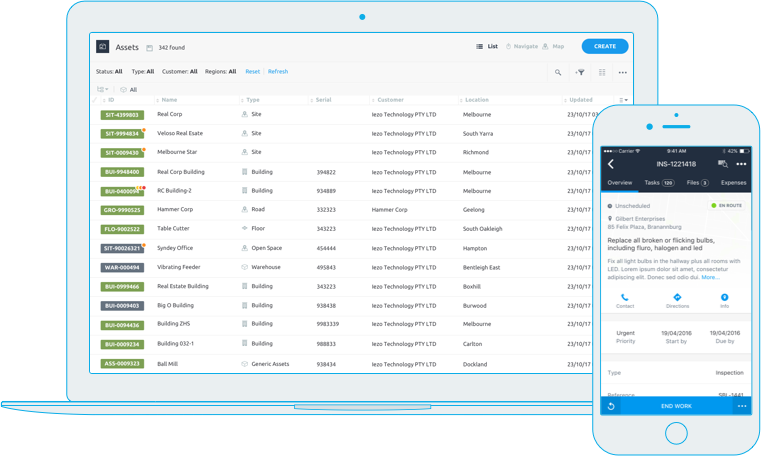 Your field users will love it too, as it will automate the process around data gathering, allow them to record expenses and inventory on the fly and also capture customer signatures if required. They can upload photos of the job and leave comments on key job activities so that nothing is missed. We understand that Compliance is critical in the Utilities sector, so we are making it easy for you to manage your Compliance requirements by providing you with a solution that contains full auditing/history logs, advanced reporting functions and control over data capture (both in the office and in the field). Loc8 also provides the function for uploading compliance related documentation against assets or jobs, so users can access the information they require, even in the field whilst on a job. This holistic approach to compliance management insures that you’re never caught out. Loc8’s powerful asset maintenance module means that you are never in the dark when it comes to the performance and maintenance of your assets. From comprehensive preventative/planned maintenance scheduling to asset lifecycle management, Loc8 has you covered. 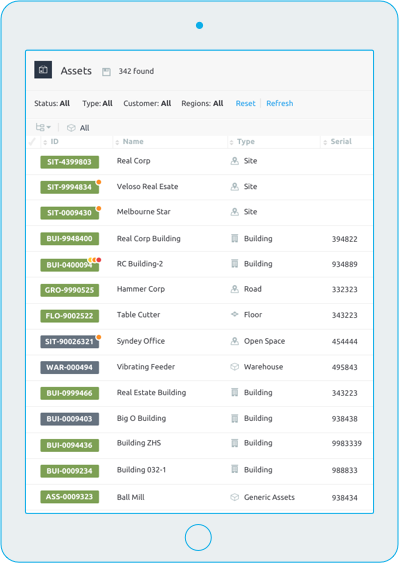 Pro-active asset management is easy with Loc8 and can provide you with a wide breadth of information about your assets, as well as providing “self-help” functionality for your customers to log fault requests regarding any unexpected behaviour with our Customer Portal and Report a Problem features. Can Loc8 manage our JRA/Risk Assessment process? Absolutely! 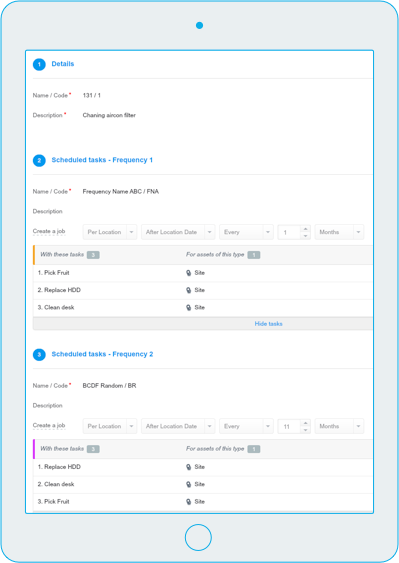 Loc8 provides job task template functionality so you can replicate your JRA questionnaire into a digital format for your field users to complete on their mobile device. How can we create assets in the field? E.g. A new meter installed? The Loc8 mobility tool allows field users to create assets in the field, as well as view installed assets so they know exactly what they are working on (with the relevant permissions). Does the contractor portal allow the contractor to create their own field users for assignment? Absolutely! Contractor portal users will be able to create their own field users and assign them to jobs that have been allocated to them. These users will also be able to login to the Loc8 mobile tool. Can we create our own asset types? E.g. different smart meters/gas meters/smart water meters? Loc8 allows users to fully customise their own asset types and parameters. This means that if you have your own asset category with its own unique attributes, you will be able to configure this in your Loc8 system.